The Palit GTX1050 Ti KalmX is currently Nvidia's faster totally fanless graphics card that provides enough performance for 3D gaming at 1080p and multi-monitor systems. The card also features HDMI 2.0 and Displayport 1.3. 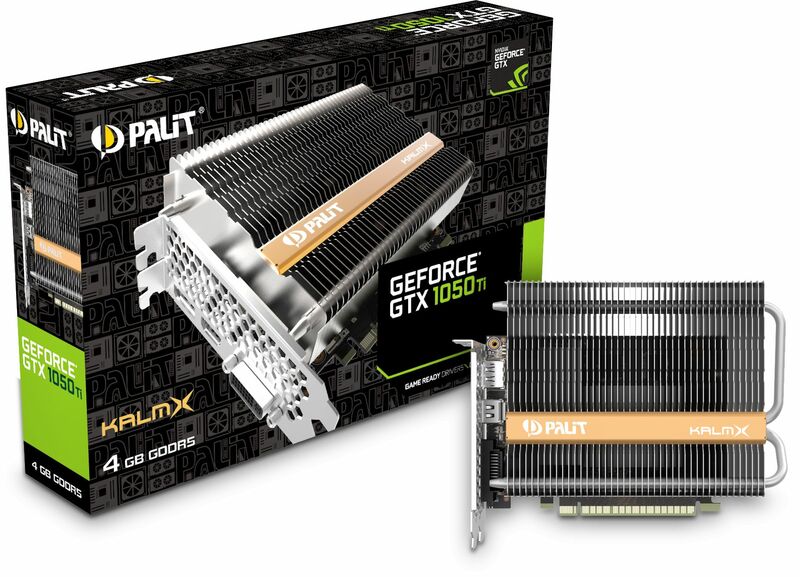 With a passive cooler and the advanced powerful Pascal architecture, the Palit GeForce GTX 1050Ti KalmX pursues the silent 0dB gaming environment. Palit GeForce GTX 1050 Ti gives the gaming horsepower to take on today’s most demanding titles in full 1080p HD@60 FPS. GeForce GTX 10-series graphics cards are powered by Pascal to deliver twice the performance of previous-generation graphics cards, plus innovative new gaming technologies and breakthrough experiences. 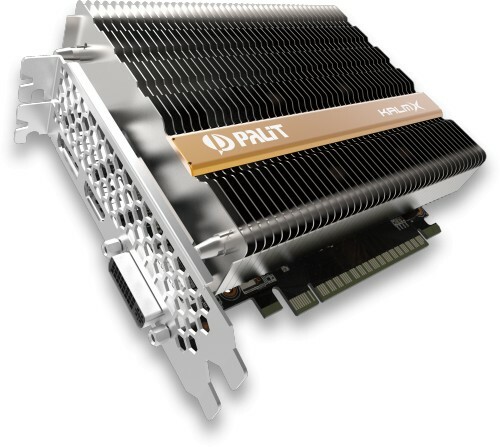 I added this card to my Serenity Pixelstation fanless set-up, also through QuietPC. The card arrived within 24 hours of ordering. Installing was straightforward but I needed advice which I got from QuietPC within 2 minutes of thinking I had a problem. Andy talked me through my screen hardware settings, then a re-boot and the installation was complete. Brilliant service. I use my PC for photo processing and was relying on the in-built Intel graphics. The KalmX Fanless card is totally silent and has provided a massive performance boost to Photoshop and Lightroom (enhance photo in LR used to estimate 6-8 minutes per image - this is now down to 15 seconds, and some advanced features in PS now run much more quickly). Impressive. And I still have a totally fanless machine!